Mobile Cinema. If you are willing to spend a little more on a subnotebook, Sony has an interesting offer for you: the TX5. Despite of its low weight of only 1.2kg and its small dimensions the stylish TX5 provides you with a bright concise display in 16:9 format and, furthermore, a DVD drive. Thanks to the noble 7800 mAh battery, you can even enjoy watching films away from your desk. Sony invests in design and layout, the TX5XN is no exception. At first go we liked the color choice (black base unit with silver cover and keyboard, and black display). Although at least the top parts are mainly out of plastics, this notebook has still rather high-quality haptics. 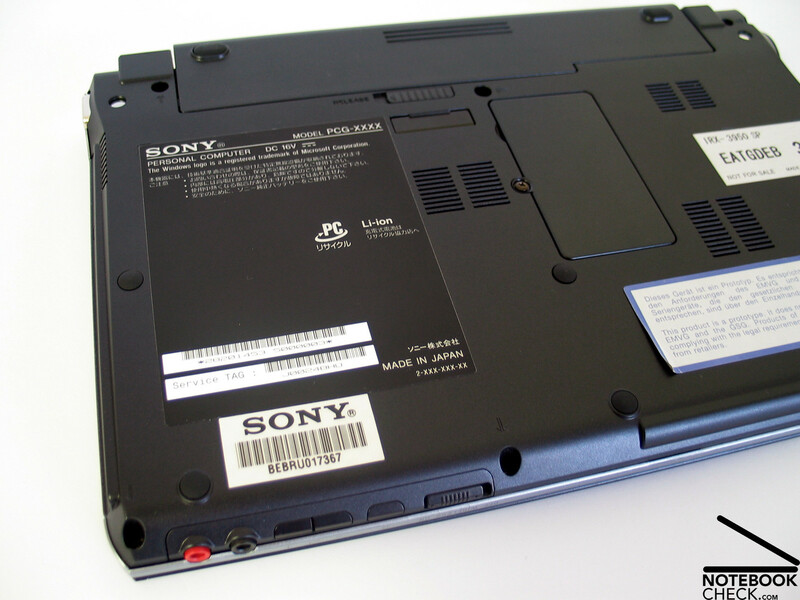 The special form of the hinges and of the rear part of the base unit contribute to the evidently typical Sony look. 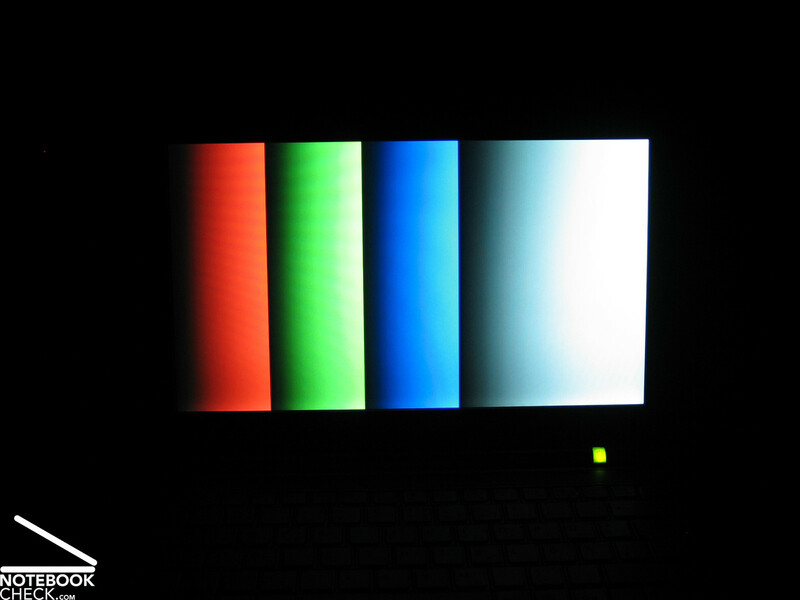 And so does the dimension of the notebook, which is adapted to the 16:9 display and appears to be extra wide. 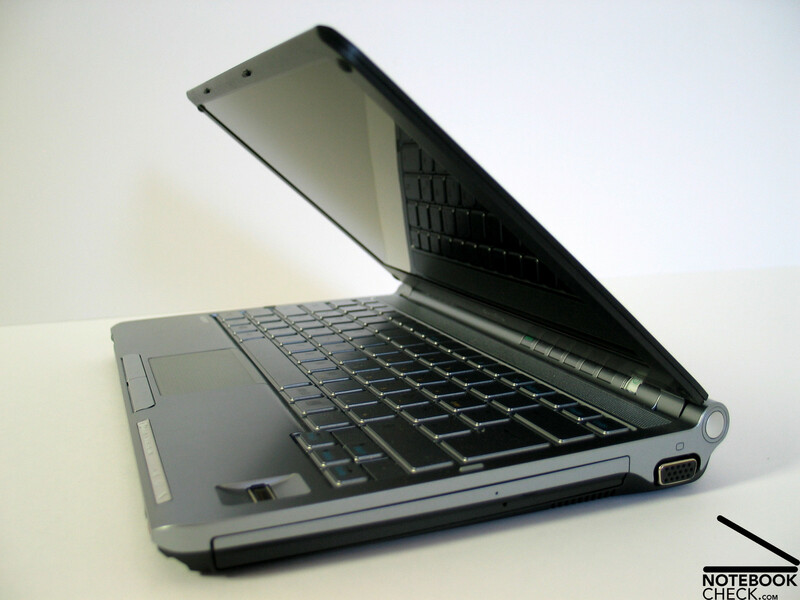 This user-friendly width of the notebook and the at the same time short length, let the TX5XN appear specially elegant. 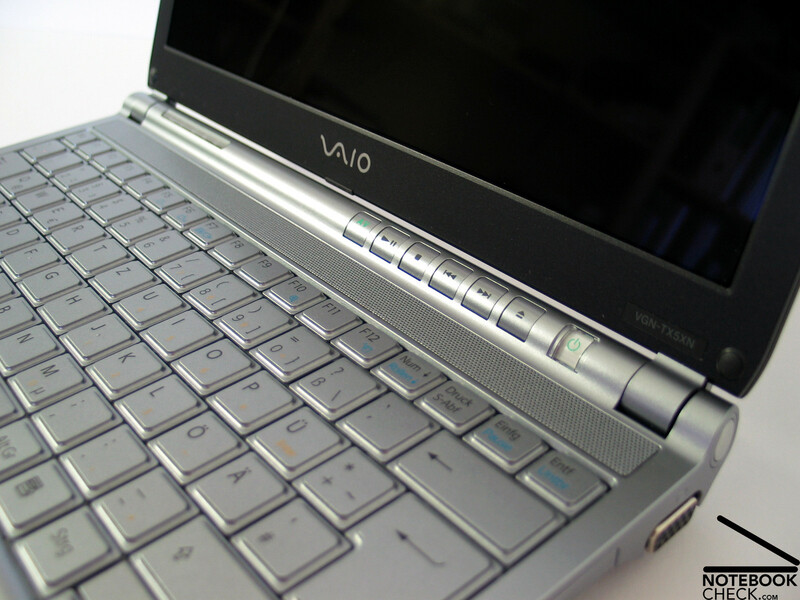 The Vaio TX5XN's workmanship is generally good, if you disregard the construction-conditioned wobbling parts. 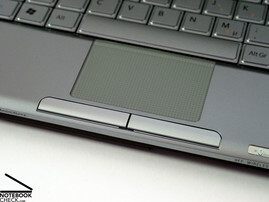 E.g., once again, the battery is not really attached tightly to the case and wobbles a little, when handling the notebook. Similarly, the same is true for the cover at the left side which hides a USB port and a modem connector. 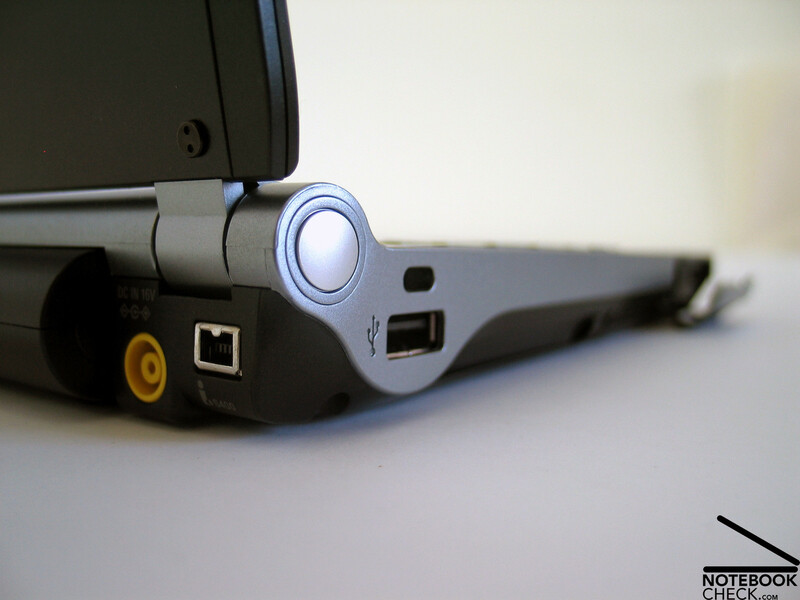 Despite it is a good idea to hide infrequently used ports, such a cover should be attached tightly and also the haptics should be alright. Also the robustness of the case and the display do not meet our demands. 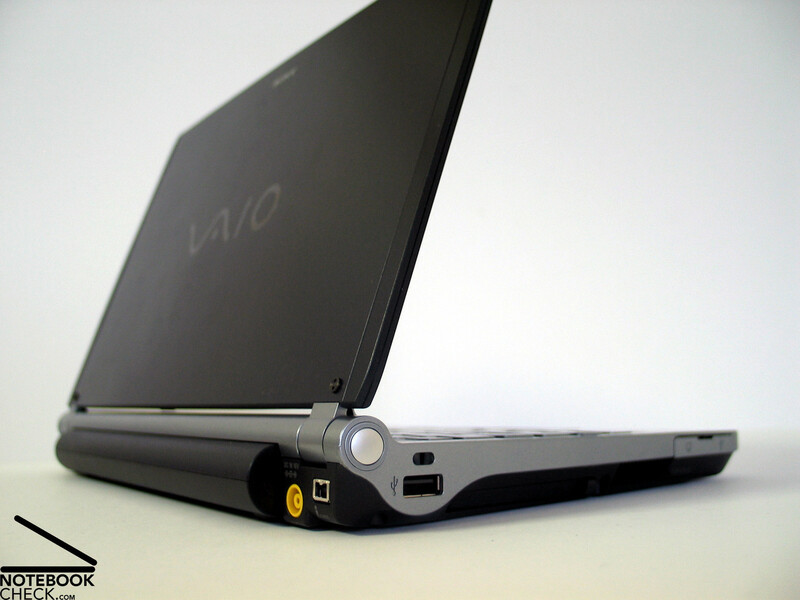 Under pressure you can observe slight deformations and creaking noises nearly at the entire case of the Vaio TX5. However, to be fair, we have to mention that we reviewed a pre-production notebook. So, improvements before actual launch are still possible. While the base unit is yet relatively robust and flexural rigid, its seems that the extra slim display can even be deformed by looking at it. A total height of hardly 5mm is presumably very close to the current feasible limit and only possible with the used LED technology. 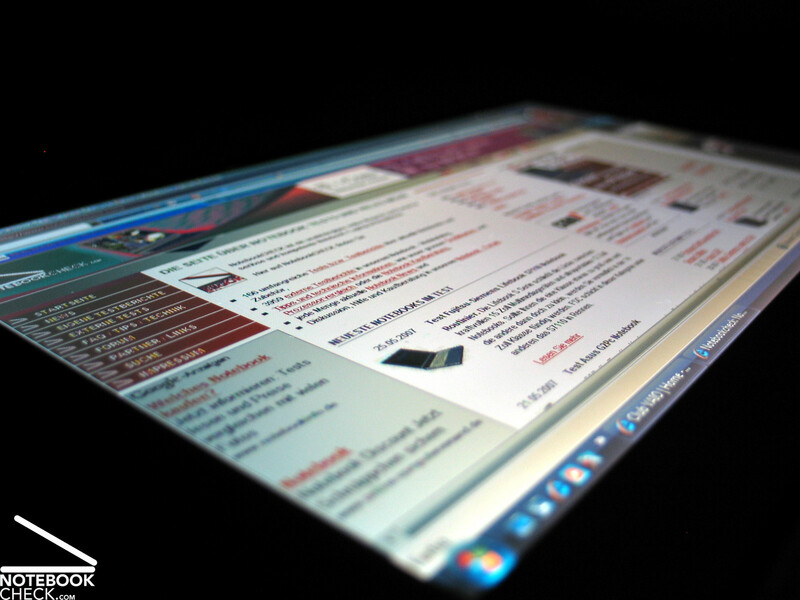 Be that as it may, the razor-thin display still looks very elegant. Despite two USB ports, VGA out, modem, and lan, headphones, and a microphone, and the obligatory iLink port (Firewire) don't make the TX5 a prodigy of connectivity, however, for a very portable subnotebook these are adequate. 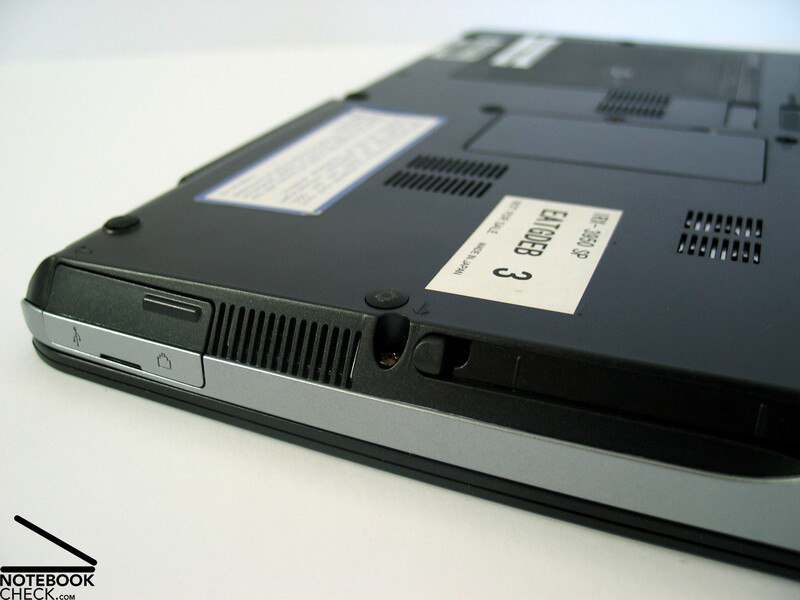 The integrated DVD drive is most gratifying, especially, because it is absolutely no standard feature of this notebook class. 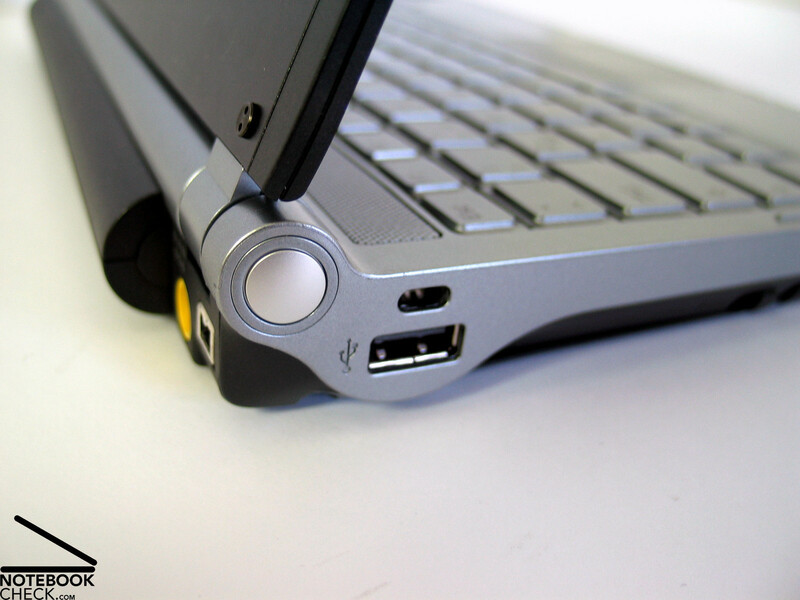 It makes the TX5 a fully-fledged office and multimedia notebook. The silver keyboard looks nice and fits well to the notebook's total appearance. The thin imprinted digits contribute to the notebook's elegant look. No doubt, the form of the keys is typical Sony. The square keys with slightly rounded edges are located at an also geometric, square base. Despite their angled look, the keys have good haptics. The short travel, which Sony keyboards frequently feature, affects typing, however, it does not have a negative impact on using the keyboard. The somewhat downsized keys require some time of adaption, but, soon one is able to precisely hit them. 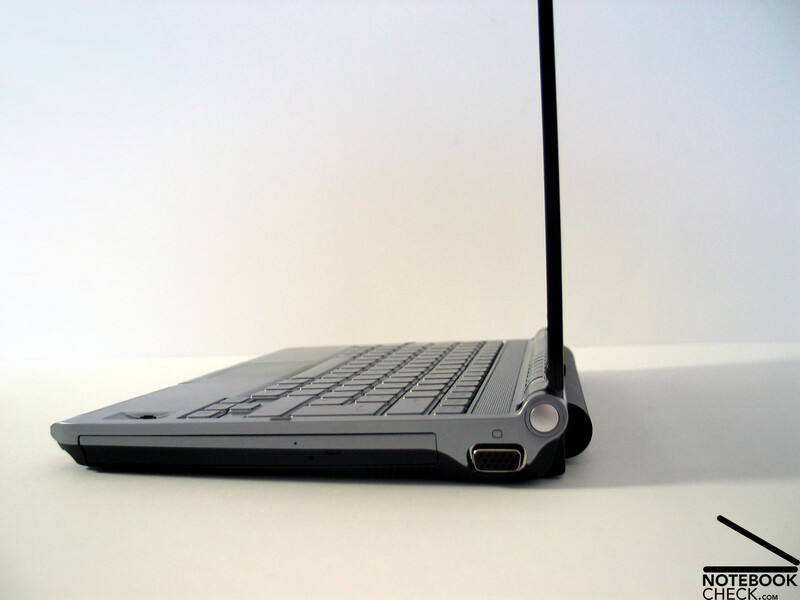 Especially with a flat hand posture, the case's front edge might trouble striking the space bar. 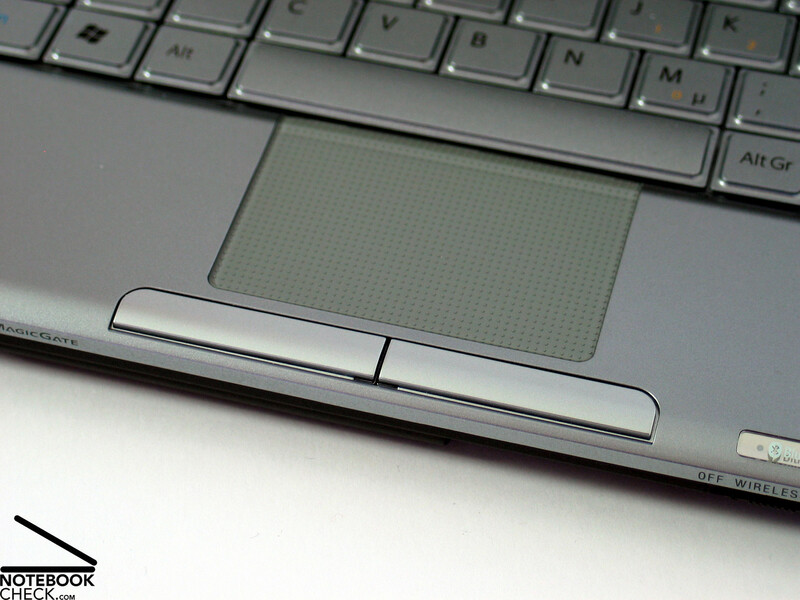 The space bar is spacious and an enter key, which extends over two rows is provided. Also the function keys, e.g., shift, Ctrl, and CapsLock are a little bigger than usual. The clicking noise of typing sounds convenient, and not annoying at all. 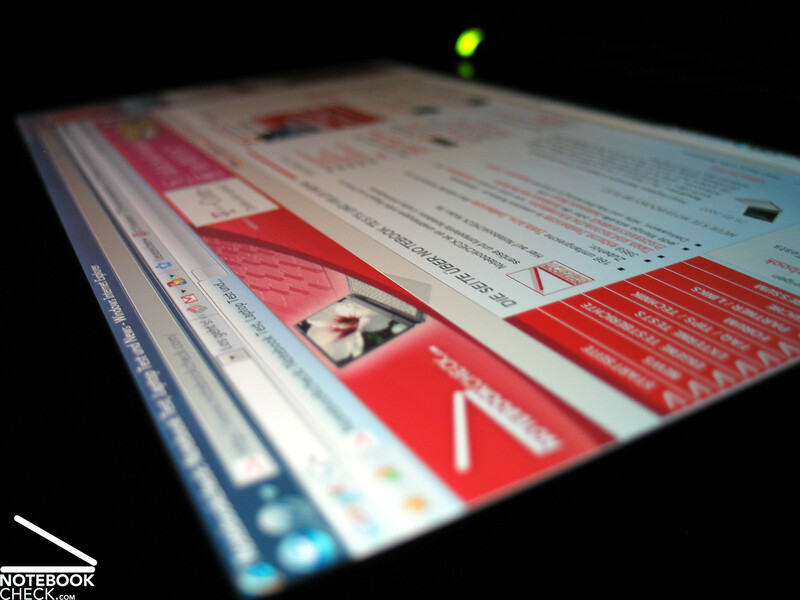 Despite problems at the beginning (bad reaction - resolved by restarting the system), the touch pad proved to be comfortable in use. 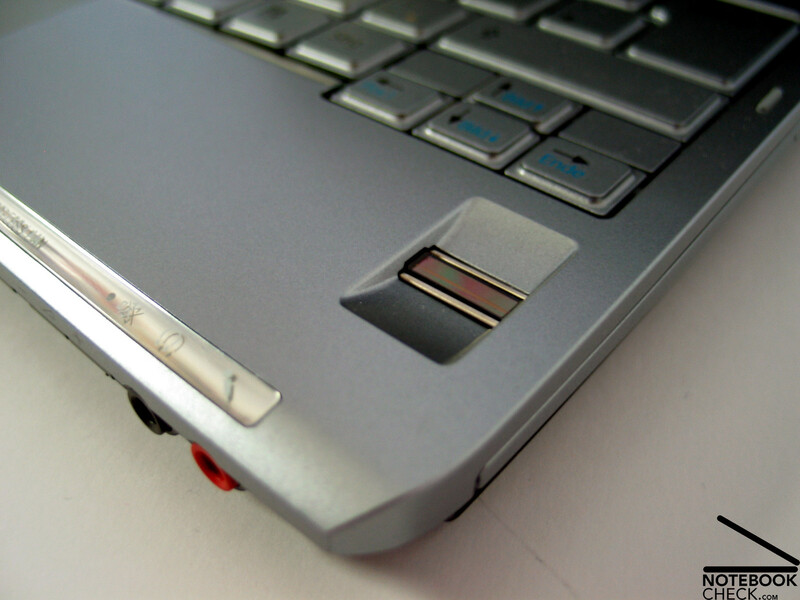 However, the rather small touch pad keys at the front edge of the notebook require some time of adaption. At the beginning we had troubles hitting them. Above the keyboard the TX5XN provides you with some hot keys, which allow controlling the Mediaplayer functions, the volume, and the wireless function. 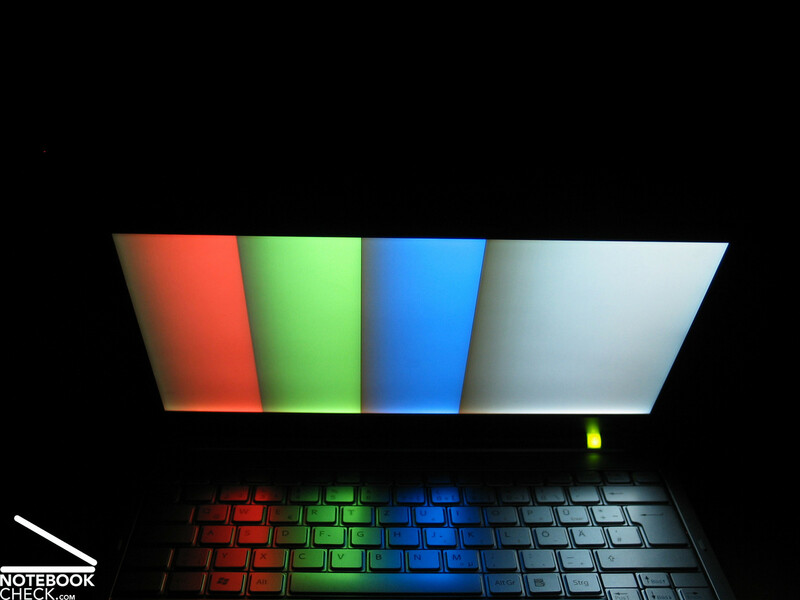 The X-Black display with LED technology is a special highlight of the Sony Vaio TX5. With a resolution of 1366x768 pixels and a somewhat unusual format of 16:9, it is sufficiently concise in movie format, even under Windows Vista. 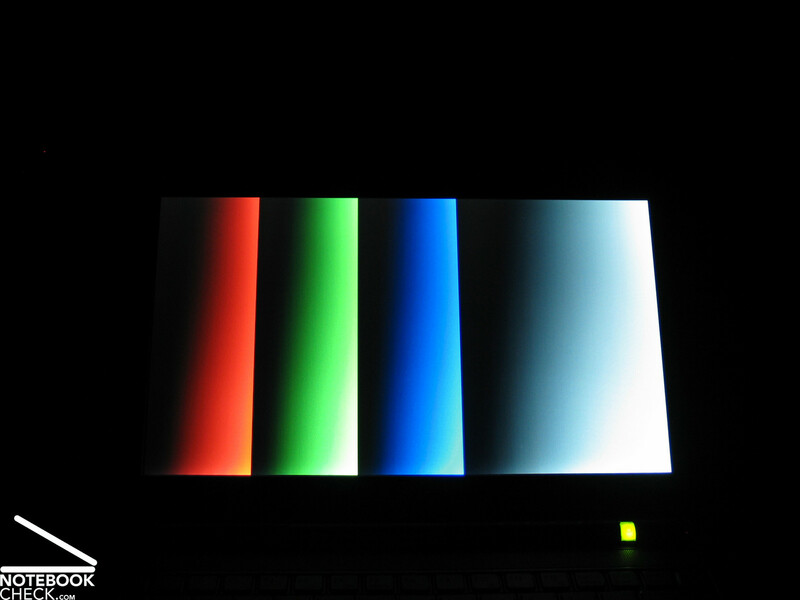 We measured an excellent maximum brightness of 215.8 cd/m² amd a good illumination of 81.7%. To rate this value, you have to factor in the still very good minimum brightness of 176.3 cd/m² and the excellent average brightness of 196.3 cd/m². 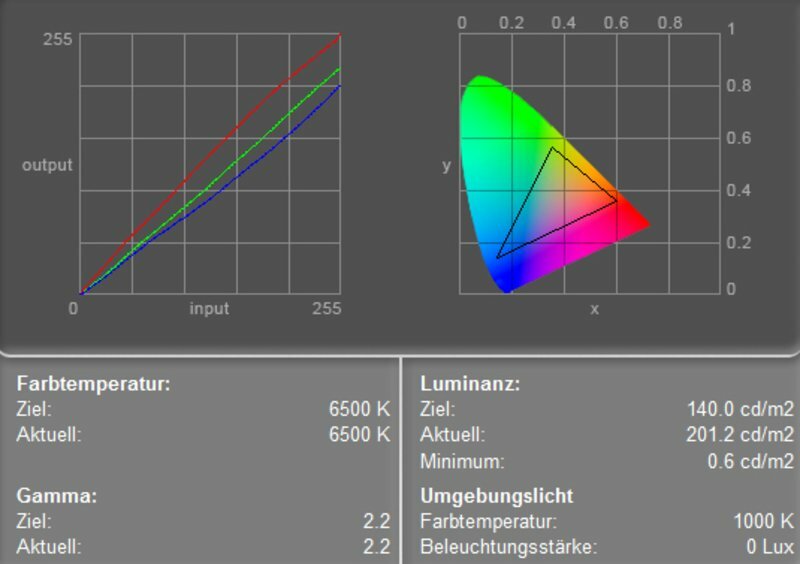 The measurement diagram depicts slightly lowered blue and green color curves, which let the colors appear warmer to the user. A minimum brightness of 0.6 cd/m² and an excellent maximum brightness of of above 200 cd/m² gives a calculated contrast ratio of very good 360:1. 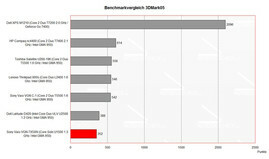 Regarding reaction speed the Sony Vaio VGN TX5XN's LED display scores grade 5 of the Pixperan test of legibility, which is slightly below-average. The scroll test too uncovers a slight weakness. We were pleased that operating this display outdoors is also possible without big problems. 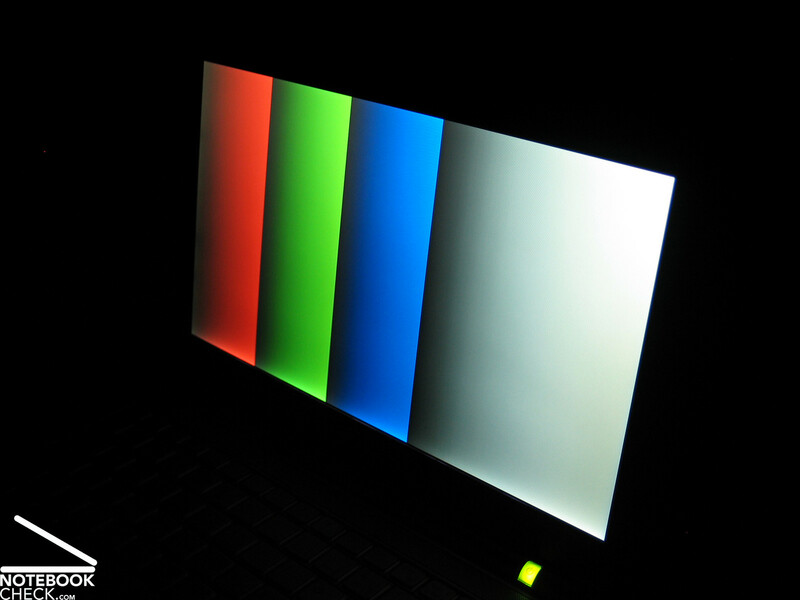 Because of its good brightness the display stays legible even in very bright environments and furthermore, reflections occur only within reasonable limits. So, Sony's anti-reflection coating proves its worth (recognizable by appearing purple-blue under direct incidence of light). 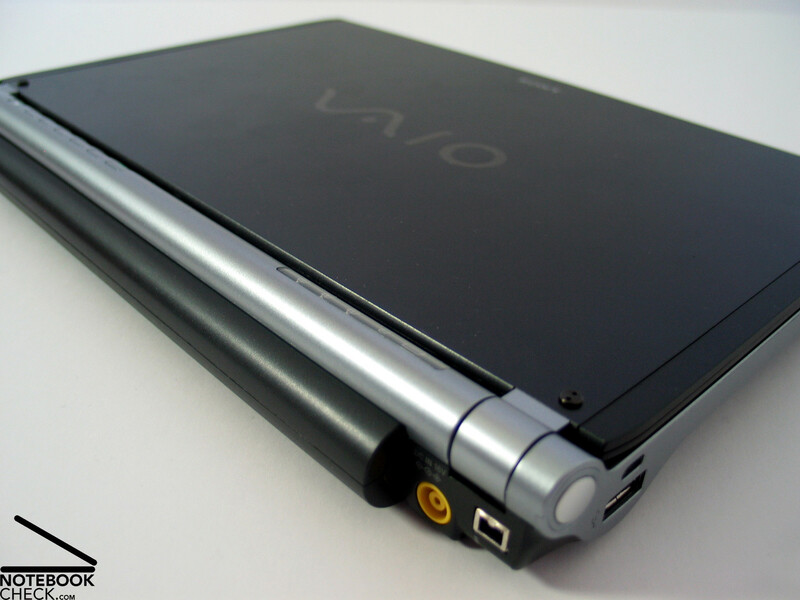 The stability to the vantage point of the Vaio TX5 has horizontally a good and vertically an acceptable area of operation. 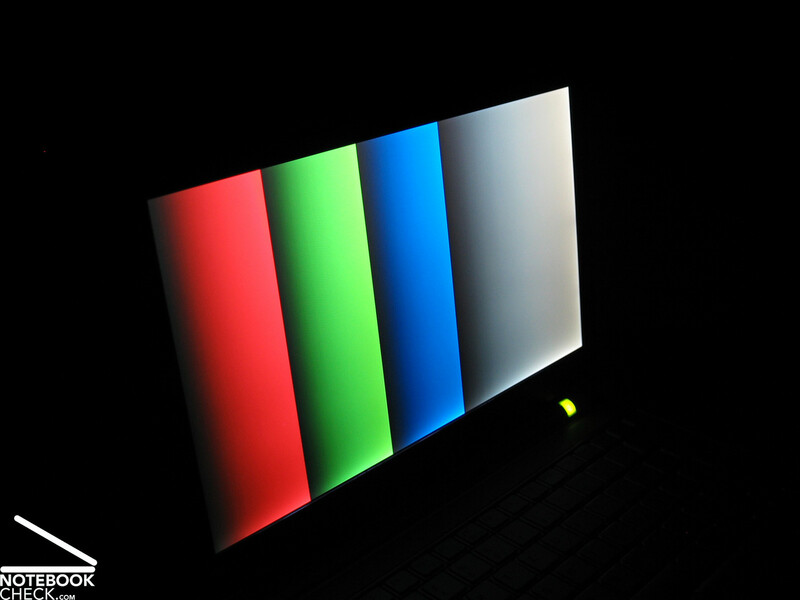 At acute angles you'll face the usual diminishing contrast and darkening or whitening of the display. 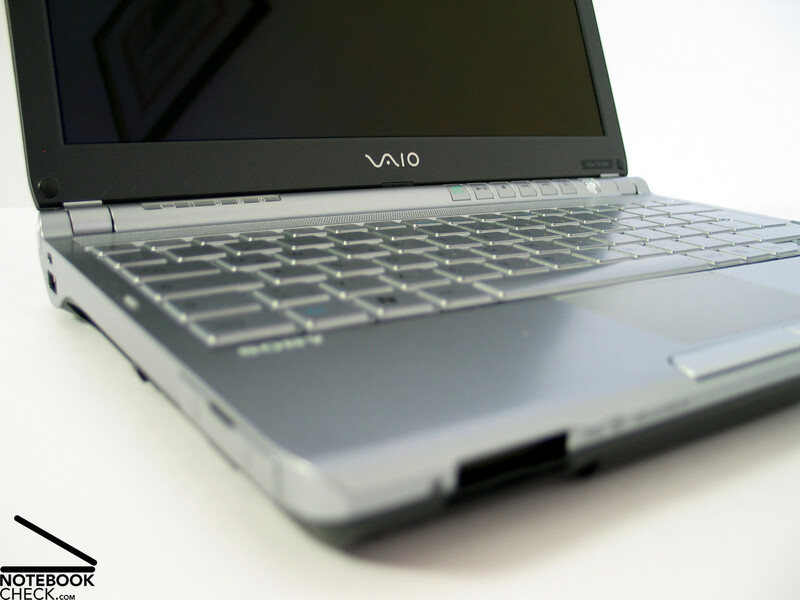 The Sony Vaio TX5XN is equipped with a Core Solo U1500 CPU, which is ideal for an ultra mobile subnotebook, because of its very low energy demand. 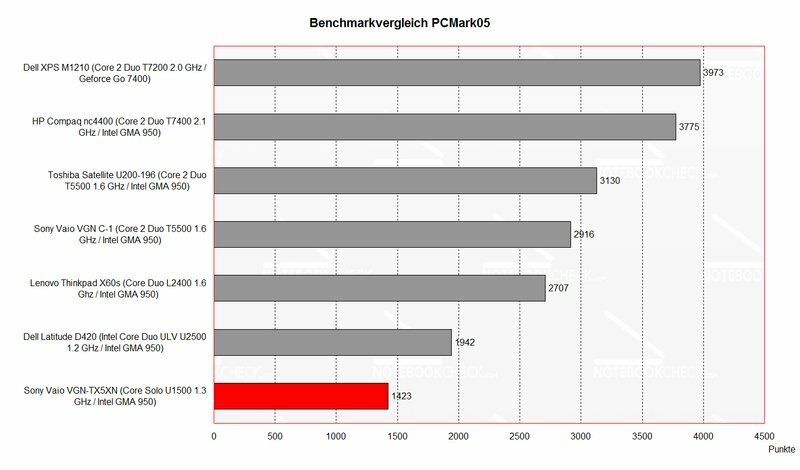 The performance of this CPU is sufficient. 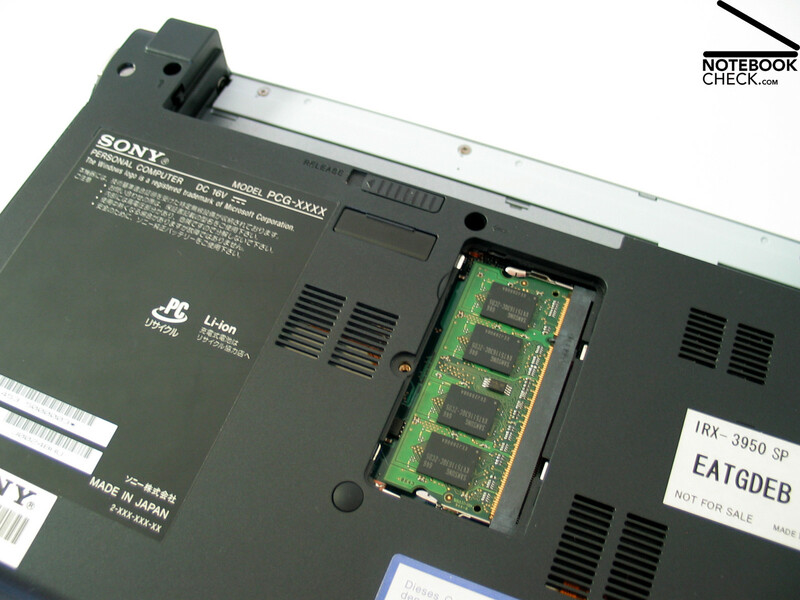 The integrated Intel GMA 950 video chip is responsible for graphics and the Aero desktop of Windows Vista. Its pro is a low energy demand and it is also sufficient for office applications. Furthermore, this notebook is equipped with a total of 1GB main memory. It is possible to enhance the main memory capacity with another memory bank, but the total main memory capacity is limited to 1.5 GB and all of the slots are already used by the standard configuration. A 100GB hard disk by Toshiba with a speed of 4200 revs provides sufficient capacity but rates below-average regarding transfer rates and access times. 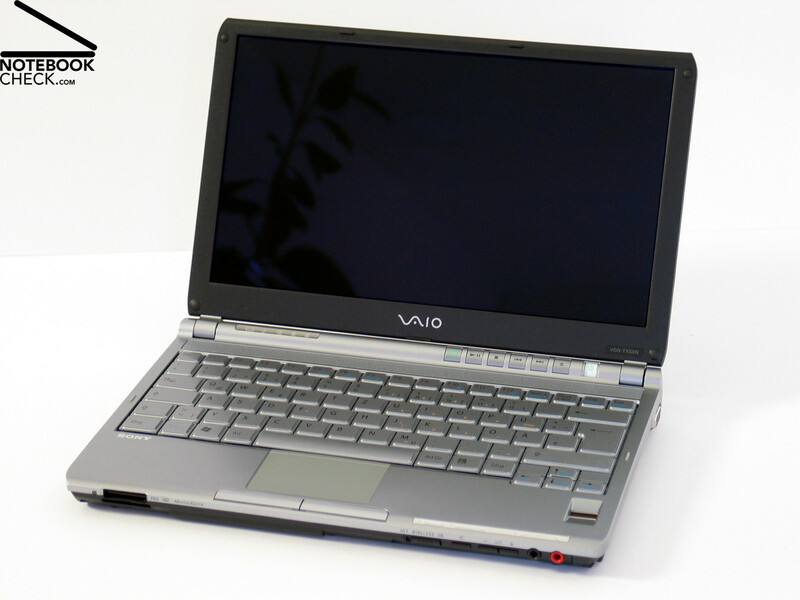 In total you should not demand too much performance of the reviewed Vaio TX5 variant, however, daily demands, especially Internet or text processing are no problem for it. Pleasingly, the noise emissions of the Tx5 are very low. Without load it is very quiet with a maximum noise level of about 33dB. 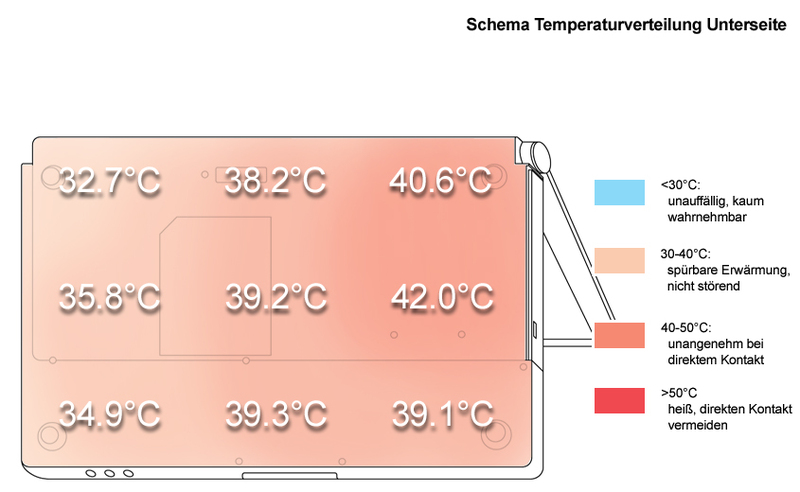 Depending on the demand the fan can speed up and reach a noise level of about 37.3 dB or of 42.3 dB under full load. 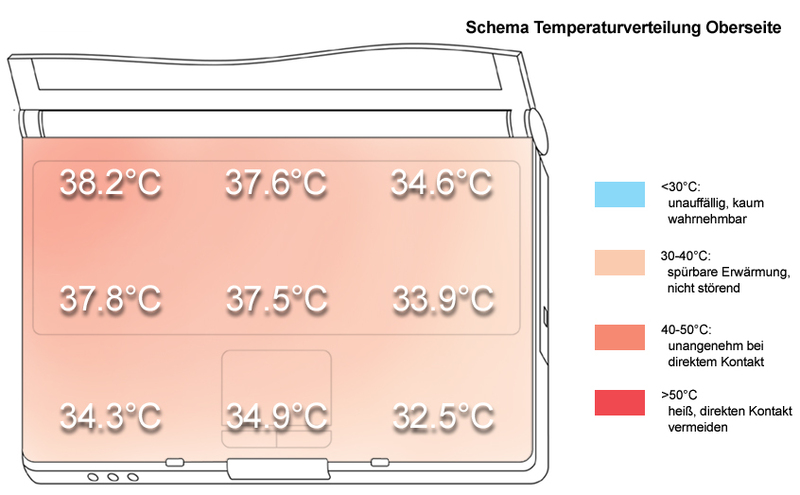 In addition to being harmless the surface temperature increase is rather low at the top and at the bottom side and reaches a maximum of 42°C. The speakers should be above the keyboard hidden behind a perforated cover. Considering the size of the notebook their sound is alright. Still, it is note-worthy that their sound is rather dull, and that the basses are as usual poor. Also the maximum volume could be better. 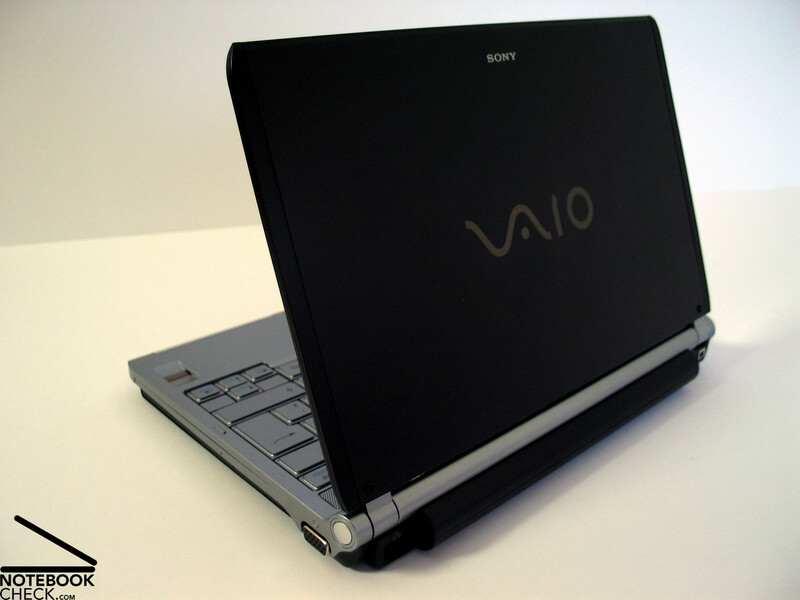 The Sony Vaio is equipped with a big 7800 mAh battery, which is capable of providing the notebook with energy for a long time. Also the energy-saving Core Solo CPU and the LED display technology contribute to a long battery runtime and make the TX5 a stayer. The results of the test are also in reality delighting. The minimum battery runtime (load, Wlan on, max. brightness) was nearly 3 hours. 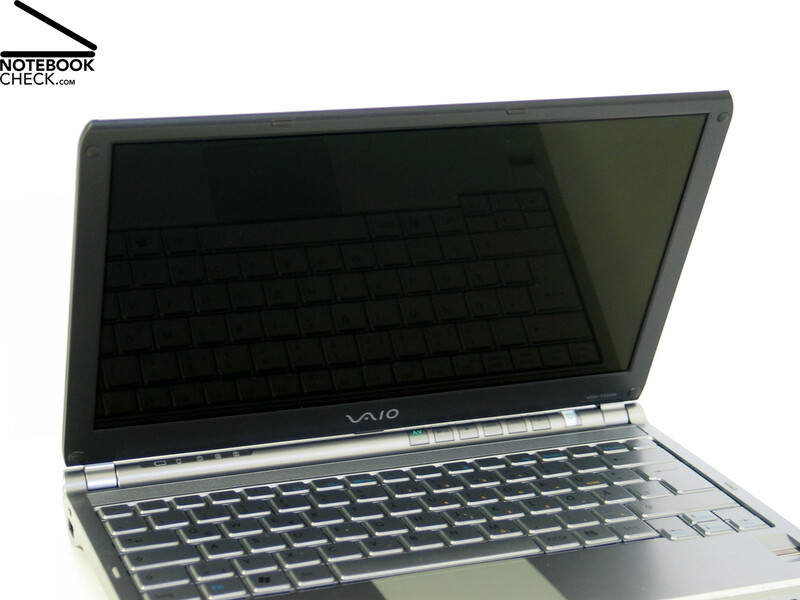 With Optimized energy settings in idle mode the battery runtime of the Vaio TX5 increased to incredible 7.5 hours. In step with actual practice, during WLan operation, a very good battery runtime of 5 hours could be reached. 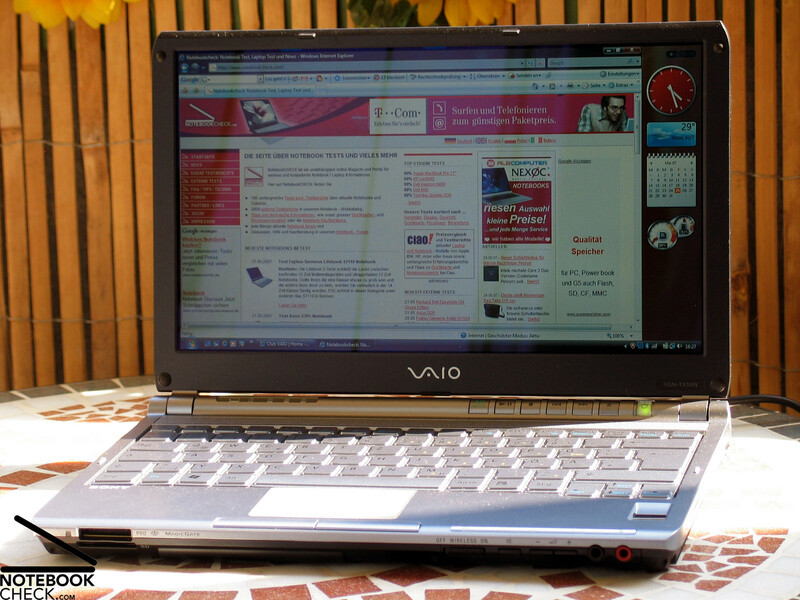 The Sony Vaio TX5XN is a felicitous, fully-fledged, mobile subnotebook. Only its price, a little more than 2000.- Euro, is tremendous. However, you'll get a good turn-key solution. Pros of the case are its compact dimensions and the slim display in 16:9 format. Furthermore, a total weight of only 1.25kg is very low. The recognizable design pleases the eyes, but, some weaknesses regarding stability of the case and a wobbling battery downgrade the total impression. 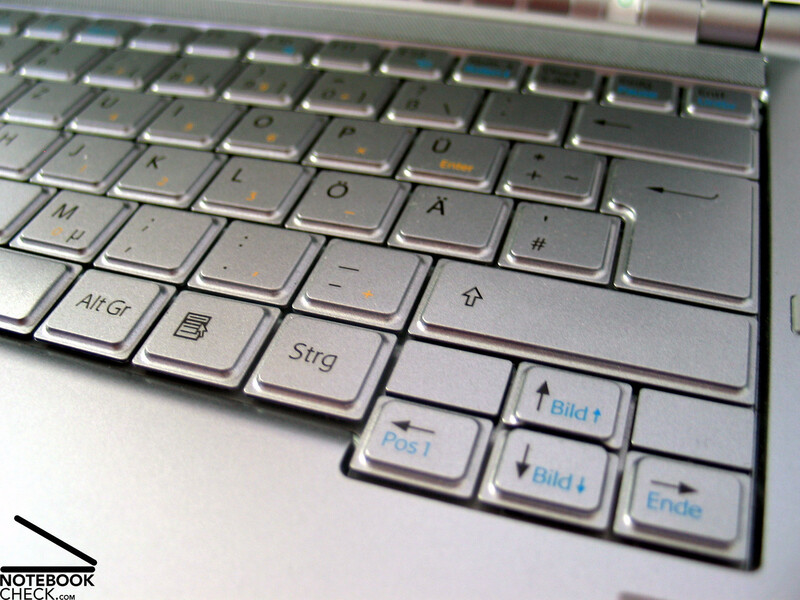 The keyboard is typical Sony, regarding design and action point. The geometric, slightly downsized keys with somewhat short travel might require some adaption time. The display scores not only with its good consciousness (1366x768 pixels) and movie format 16:9, but also with good brightness and illumination. Despite of a reflecting surface, an anti-reflexion coating makes it fit for trouble-free outdoor operation. 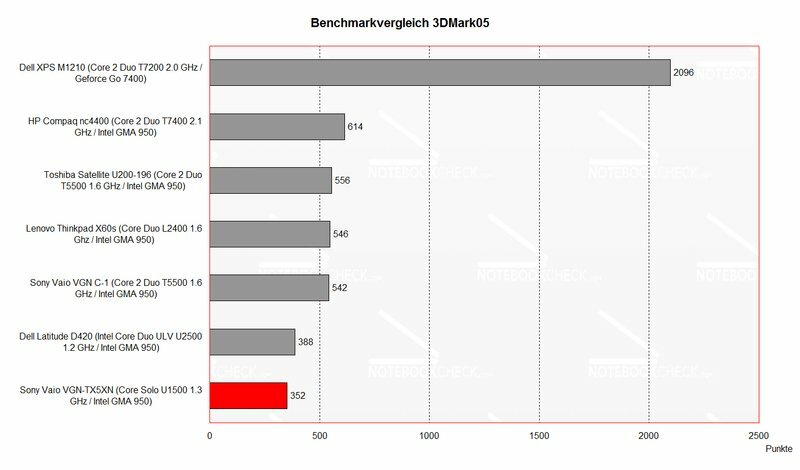 The performance hints on the focus of mobility and maximum battery runtime. 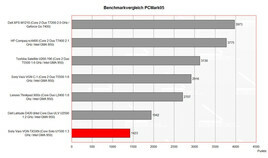 Still, the Core Solo CPU's performance is sufficient for daily applications like Internet and Office. Also Windows Vista should not cause any problems, because of a total of 1024MB main memory. The results regarding emissions were alright too. 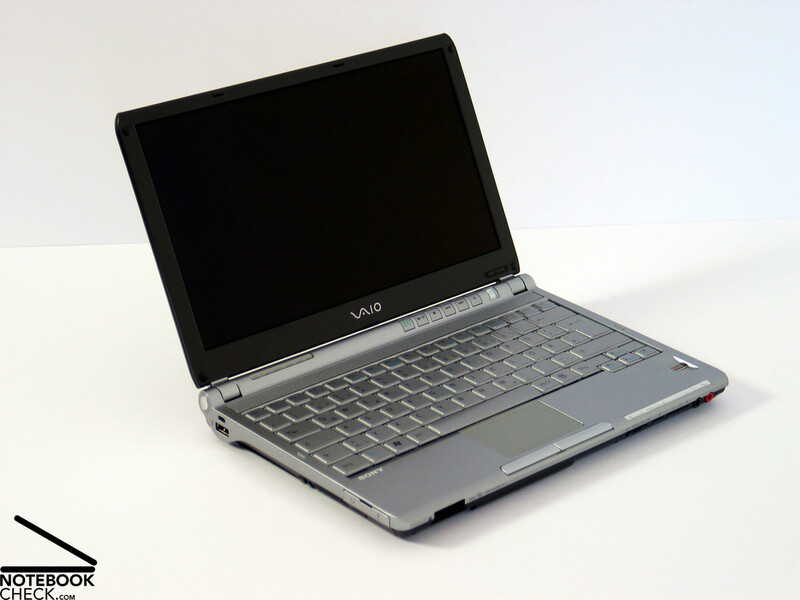 The noise level of the Vaio TX5 is within reasonable limits, although the fan can sometimes be clearly heard. There is also nothing to criticize regarding surface temperatures. 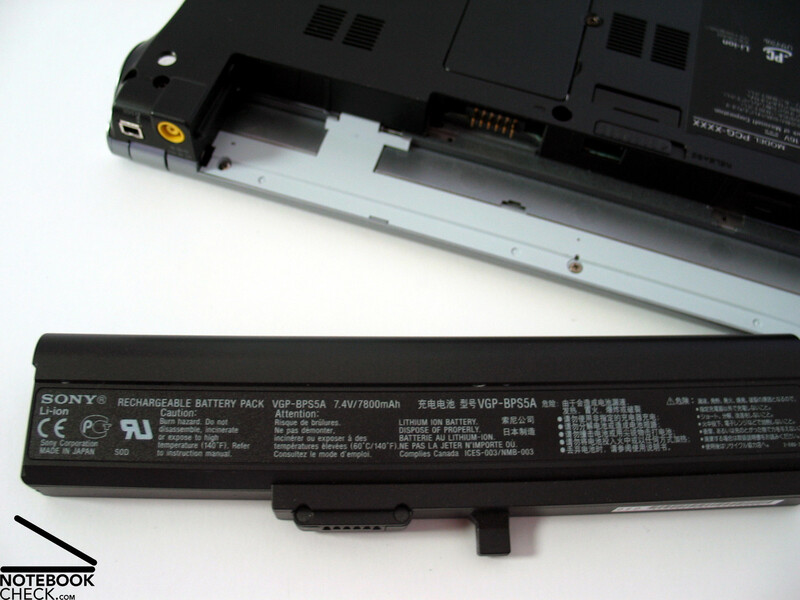 Also, the most important aspect for mobility, the battery runtime convinces. An unplugged time of in between three and up to a maximum of 7.5 hours makes the TX5XN an excellent stayer. ...and the temperature increase was also alright. 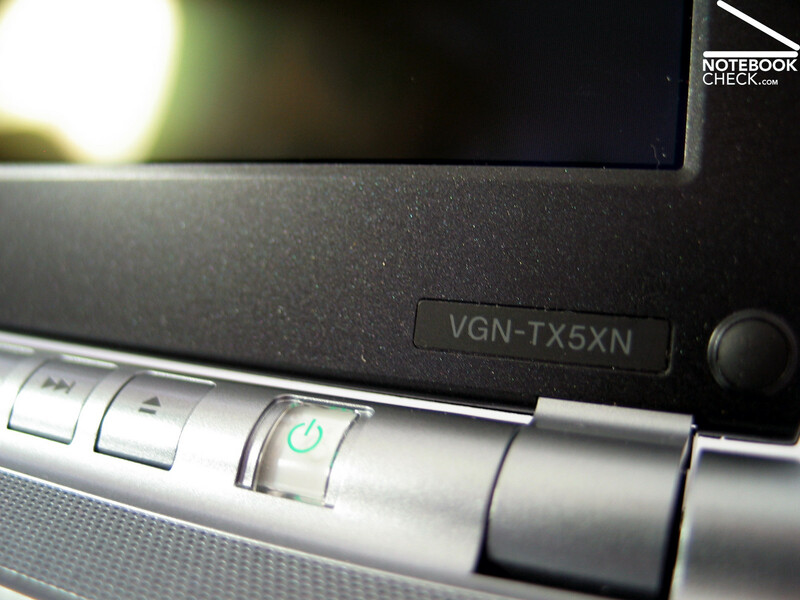 A Core Solo processor works inside the TX5XN, a good choice for this notebook considering its low energy demands. Although the display is a Glare Type panel, the good brightness and the anti-reflexion coating makes it still fit for outdoor usage. ....its smaller keys need some adaption time. Furthermore, the TX5XN provides a fingerprint reader. 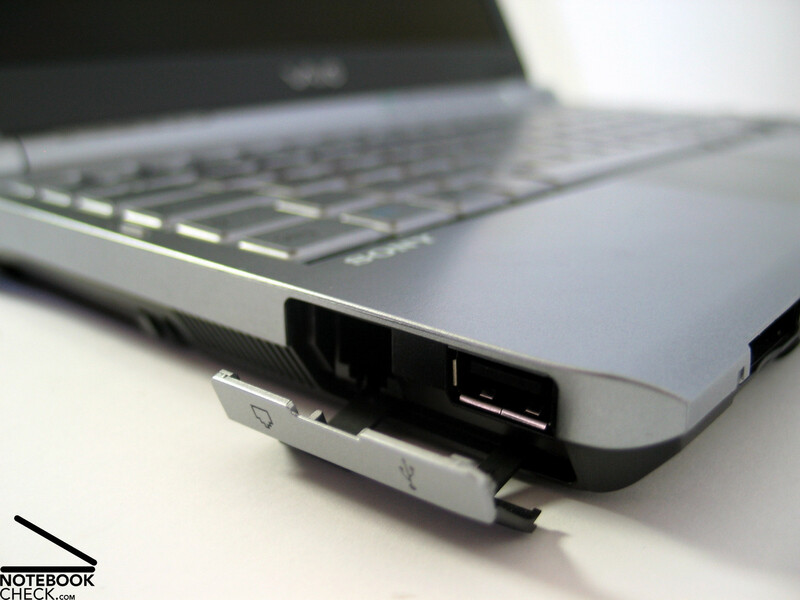 Nice feature: USB and modem port are covered. Only the minimum port requirements are met. ...because at some parts the case clearly yields. ...that is, besides once again a wobbling battery. Apropos tiny: Its 1.25kg makes the TX5 an ideal mobile partner. The colors of the tiny notebook, silver and black, look good too. 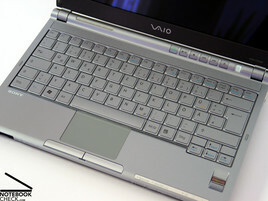 ...the Vaio TX5XN pleases by an interesting and good design. The 7800mAh battery rated top. A maximum runtime of 7.5 hours argue for itself.